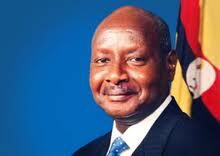 The existence of the Presidency is provided for by articles 98 and 108 of the Constitution of Uganda respectively. Article 98 of the Constitution states that there shall be a President of Uganda who shall be the Head of State, Head of Government and Comander-in-Chief of the Uganda Peoples Defence Forces and the Fountain of Honour. The Constitution of the Republic of Uganda vests all the executive authority in the Presidency to uphold, safeguard the Constitution and Laws of Uganda, promote the welfare of the citizens and protect the territorial integrity of Uganda. The Presidency provides leadership in public policy management and good governance through the Office of the President departments like Cabinet Secretariat, Directorate of Ethics and Integrity, Directorate of Economic Affairs and Research, Security Organizations (Internal Security and External Security Organization) and National Honours and Awards Chancery.